In New York Times bestselling author Dale Brown’s Price of Duty, the stakes are high as the U.S. and its Western allies come under a diabolical Russian cyberwarfare attack In a top-secret location deep in the Ural Mountains, Russian President Gennadiy Gryzlov has built his nation’s most dangerous weapon since the atomic bomb—an intricate network of underground tunnels and chambers designed to launch a carefully plotted series of attacks on an unsuspecting U.S. and its European allies. The first strike targets Warsaw, Poland, where Russian malware wipes out the records of nearly every Polish bank account, panicking the rest of Europe. 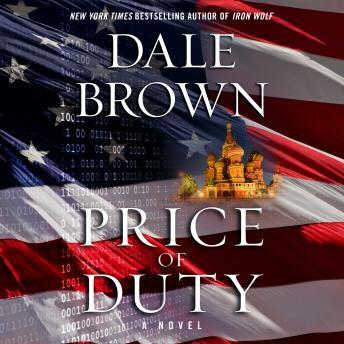 When the besieged U.S. president, Stacy Anne Barbeau, fails to effectively combat the Russian threat, Brad McLanahan, on some well-earned R&R with his new Polish girlfriend, Major Nadia Rozek, is called back to duty. As the Russians’ deadly tactics escalate—including full-scale assaults on Europe’s power grid and the remote hijacking of a commercial airliner that kills hundreds of civilians—McLanahan and his Scion team kick into gear. With the world’s fate hanging in the balance, will Scion succeed in turning back Gryzlov before he can realize his terrifying ambition to conquer the globe?